Grain marketing is just one part of the important work you do, but it requires constant attention. That’s why ADM offers you the ADM Advantage Expert contract—a contract that puts your grain marketing in the hands of independent marketing experts. Our experts have a proven marketing track record, giving peace of mind and allowing you to spend your valuable time on other important tasks. You choose the expert, you set the basis, we handle the rest. You choose the crop you want to sell, your delivery period and the marketing expert you​‘d like to make the pricing decisions. Your chosen marketing expert advises ADM to price futures on your behalf. ADM establishes the final Futures Reference Price on your contract based solely on their pricing decisions. You set the basis at any point prior to grain delivery. Your final cash price is equal to the ADM Advantage Expert Futures Reference Price +/- Basis – Service Fee. 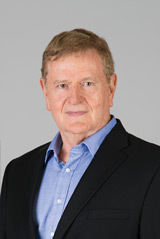 Richard Crow is the founder and President of Crow Trading, Inc. He is registered as a Commodity Trading Advisor (CTA) and an Independent Broker with the National Futures Association, specializing in agriculture commodities. 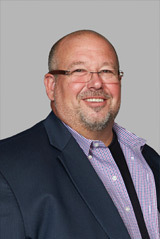 Mr. Crow served 8 years with an international grain merchandising company and has 30 years of combined experience in commodity trading, price risk management, speculative trading, and grain marketing strategies. He received his bachelor’s, master’s, and doctorate degrees from Oklahoma State University, all in agricultural economics. Founded in 1991, Crow Trading, Inc., works to help farmers improve the overall revenue of the farm business. Storage alternatives, spread alternatives, cash basis analysis, as well as pricing are tools used in the effective marketing of crops. Marketing strategies are formulated by utilizing a producer’s assets along with Crow Trading’s marketing analysis and experience. Crow Trading, Inc. has been an advisor to the ADM Advantage Expert contract for more than 10 years. Having grown up in a Missouri farm community, Kevin worked for over 20 years trading professionally at the CME, CBOT and KCBOT. He knows how to “connect the dots” and simplify the complex moving parts associated with today’s markets in his thought-provoking, yet easy to read, format. With thousands of daily readers in over 40 countries, Kevin is a sought-after source for market direction, timing, and macro views associated with the agricultural world. He is a top-featured guest on many U.S. farm radio programs and business news channels. He also speaks internationally to hedge fund managers and industry-leading agricultural executives about current ag conditions and “black swan” forecasting. Kevin is currently the acting Chairman of Farm Direction, LLC, assembled to bring the finest and most current agricultural thoughts and outlooks directly to the world’s top producers. As markets and the industry are dramatically changing, Kevin is trying to redefine how farmers can better manage their risk and more clearly understand the adversity that lies ahead. Farm Direction, LLC is a new participant in the ADM Advantage Expert contract. 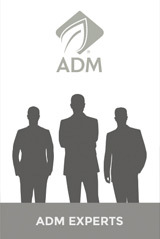 Individually and together as one team, the ADM Experts apply their seasoned knowledge and experience in the marketplace to serve you. Subject to Terms and Conditions in ADM-provided contract. See contract for details.